Emily Blumberg, MS, CCC-SLP, CEIS is a Speech-Language Pathologist and Co-coordinator of The Deaf and Hard of Hearing Specialty program. She has worked at Minute Man ARC Early intervention Program since 2002. 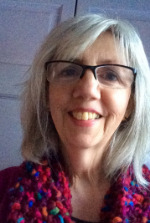 She has a Master of Science degree in Speech from Emerson College and has a certificate in "Teaching Spoken Language Through Auditory Learning" from University of North Carolina - Chapel Hill. Emily provides individual pull-out therapy to infants and toddlers (and their caregivers). Julia Dunning, M.Ed. is a Specialty Service Provider and has worked at Minute Man Arc since 2002. 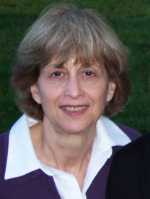 She has a Master's of Education in Curriculum and Instruction from the University of Massachusetts, Amherst. Julia provides a weekly introductory sign language class for infant and toddler caregivers. She is the parent of a child who is deaf and is the co-founder of both The Decibels Foundation and the Usher Syndrome Coalition. 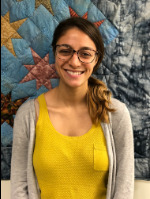 Jessica Goncalves, MS, CCC-SLP is a Speech-Language Pathologist and has worked at Minute Man Early Intervention Program since 2016. Her undergraduate degree in Communication Sciences and Disorders/Deaf & Hard of Hearing Studies (minor), was completed at the University of New Hampshire. She completed her Master’s Degree in Speech-Language Pathology at MGH Institute of Health Professions. Jessica previously interned at the Horace Mann School for the Deaf. 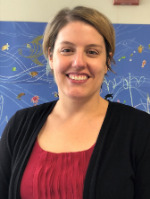 Currently, Jessica provides services in the toddler playgroup, service coordination and home visits for families in the Minute Man EI catchment area. Marty Lapointe-Malchik, MED is a Teacher of the Deaf and has worked at Minute Man ARC Early Intervention Program since 2010. Her undergraduate degree is in speech pathology and elementary education. She holds a Master's of Education of the Deaf from Smith College. She spent an AG Bell Fellowship year at the Tufts New England Medical Cochlear Implant Program. Marty teaches in the toddler playgroup and provides home visits to families in the Minute Man Early Intervention Specialty Program for the Deaf and Hard of Hearing as well as other EI agencies in Massachusetts. 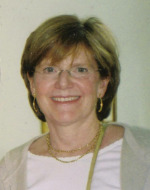 Linda Roth, M. Ed., is a Developmental Specialist and the Co-coordinator of the Deaf and Hard of Hearing Specialty Program. She has worked at the Minute Man ARC Early Intervention Program since 2004. She has a Master's of Education from Boston College. Linda co-leads the Parent Child Playgroup and Toddler Playgroup. She is also a Teacher of the Visually Impaired at Perkins School for the Blind. 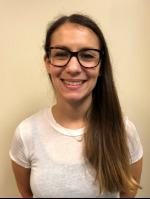 Sarah Shaheen, PT, DPT is a Physical Therapist and has been working with Minute Man Arc Early Intervention since 2016. She holds a Doctor of Physical Therapy degree from MGH Institute of Health Professions. She has been involved in the toddler playgroup since February 2018 to help address gross and fine motor concerns and to help improve mobility and access to age appropriate movement activities. 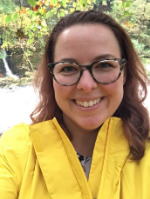 Mollie Stolzer, BA, CEIS is a Developmental Specialist and has worked at Minute Man Arc Early Intervention Program since 2014. 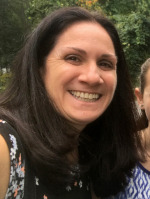 She has a Bachelor of Arts degree in Child Development from Tufts University, with a focus on infancy, language development, and American Sign Language. Mollie is a classroom teacher for the toddler playgroup and also provides one-to-one support for children within the group. Ashley Ward, MS, CCC-SLP is a Speech-Language Pathologist and has worked at Minute Man since 2011. She has a BA in Child Development from Tufts University, and received her MS in Speech from Emerson College. Ashley has also completed additional graduate study in Counseling Psychology. She previously interned in the Thayer-Lindsley Parent Support Group and worked at The Learning Center for the Deaf. 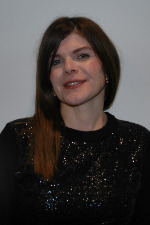 Currently, Ashley provides services in the toddler playgroup, service coordination and home visits to families in the Minute Man catchment area, and individual pull-out therapy. Honore I Weiner, Ed. D, CCC-SLP has been a consultant to the Hearing Loss program since 2008 and also works with families in the transition process. She has a doctorate degree in Special Education from Boston College. 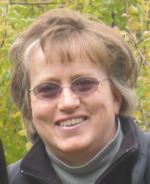 Honore has more than forty-seven years combined experience in program development, student assessment and direct service for children with hearing loss. She has provided professional training and supervision for staff. 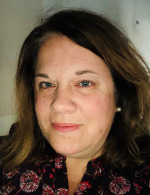 Priscilla Wilcox, MS, CCC-SLP is a Speech-Language Pathologist and has worked at Minute Man since 1996 and has been a part of the deaf and hard of hearing playgroup since its inception. She has a Master of Science degree in Speech from Emerson College. She is a former administrator at Minute Man ARC Early Intervention.